One reason: a healthy fear of getting sued. Tesla’s Elon Musk has already inflicted serious embarrassment on lumbering carmakers with his profitable and much-hailed Model S electric car. But while they are fighting back in the electric-car race, they seem content for Musk to take the lead with the next big technological advance in transportation—the self-driving car. If that sounds defeatist, so be it. Big carmakers say the legal and cultural hurdles for autonomous autos are so daunting that they’re happy for Musk to take the first leap. He promised this week that Tesla will be ready with a semi-autonomous car able to handle 90% of the driving within three years. By comparison, General Motors, the world’s second-largest carmaker, says vaguely that it will only begin to sell a semi-autonomous Cadillac outfitted with what it calls “Super Cruise” capability by the end of the decade. Relying on sensors, radar and GPS, Super Cruise will self-navigate highways as long as there are white lines designating the lanes and they are not covered by snow. If there is a crash, the car will come to a stop, but the driver would still have to steer around it. “The driver can’t go into the back seat and take a nap,” GM’s Daniel Flores told Quartz. Neither will the GPS allow driving on city streets. 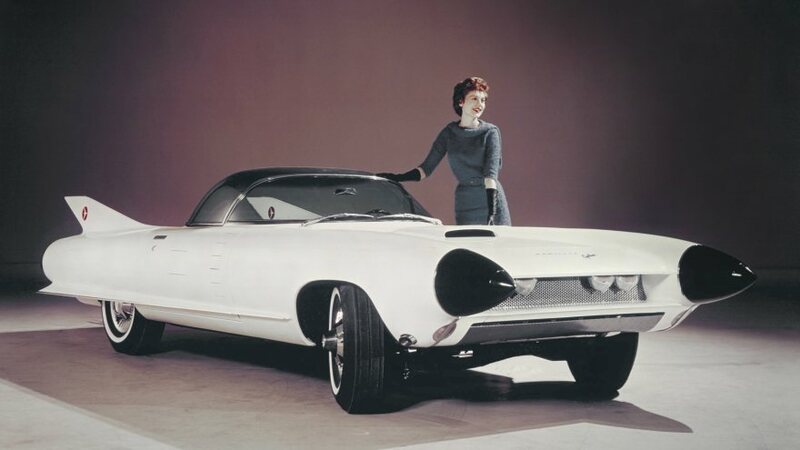 Versions of the technology itself are not new—in 1959, GM created a Cadillac Cyclone concept car (see photo above) with a radar-equipped hood. But the Cyclone was never produced, and Flores says that GM will wait for much better sensors based on radar and laser-based lidar. “It has to be bullet-proof because you are talking about people’s lives,” he said. In Japan, Nissan says much the same. What’s the problem here? Donald Hillebrand, director of transportation research at the US Argonne National Laboratory, cited America’s notorious litigiousness as the main reason why big carmakers are content to let upstarts such as Tesla and Google take the first step. An autonomous car will eventually crash, and it will not be immediately clear who should be sued. “They want someone to go and explore the legal landscape first. There needs to be some case law,” Hillebrand said. The legal hurdles may well eclipse the engineering challenges. Since the technology is nascent, regulations are thin. The US National Highway Traffic Safety Administration has issued a five-stage definition of autonomy ranging from totally driver-navigated to completely hands-off vehicles, but not much else. Then there’s the human factor: Some in Detroit think that Americans will need a long period of adjustment to the new self-driving world lest they suffer culture shock—both hands off the wheel, in their view, is simply a leap too big to easily fathom. So intimidating are these challenges that Google found no takers when it solicited a partner among the auto majors, according to reports, leading the company to build its own self-driving vehicle.